Among new products that may still contain asbestos are soil retention enhancers, particularly vermiculite. When we hear the word “asbestos” we often think back on the controversy of the late 1970’s when it became common knowledge that asbestos was indeed a human health hazard. Asbestos however, is still a relevant hazard today in a number of different capacities. While most asbestos containing products were banned by the Consumer Product Safety Commission and regulated by the Environmental Protection Agency, unfortunately it still exists in hundreds of older products as well as in trace amounts in newly manufactured products. Among new products that may still contain asbestos are soil retention enhancers, particularly vermiculite. Vermiculite is mined from natural deposits across the globe and has a myriad of uses not only for commercial and private gardening, but also as an insulation compound. 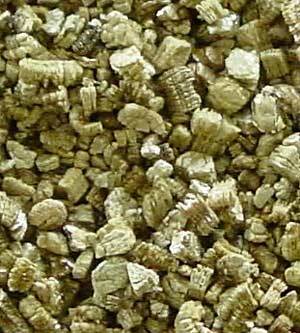 Vermiculite forms over millions of years due to the weathering of the mineral, biotite. Unfortunately, former biotite deposits are often in close proximity to deposits of diopside, which upon being subjected to the same weathering and age conditions becomes asbestos. In Libby, MT one particularly mine shipped hundreds of thousands of tons of asbestos-contaminated vermiculite across the country. However, they were not the only manufacturers of vermiculite to ship asbestos with their products. Many other manufacturers were doing the same thing before EPA testing and regulations finally forced them to limit the amount of residual asbestos dust in the vermiculite. It is no surprise then that hundreds of the Libby mine’s employees and residents of the town were diagnosed with mesothelioma, a rare and aggressive cancer that is known only to be caused by asbestos exposure. Options for mesothelioma treatment are limited, so many of these residents were able to secure financial compensation for their families through litigation. Mesothelioma incidence is also known to be high in commercial gardeners and other occupations which deal with large amounts of loose vermiculite. Fortunately, exposure to asbestos-contaminated vermiculite can be avoided if consumers follow simple precautions. Note the appearance of the vermiculite. If it seems to carry a great deal of residual dust, dispose of it outdoors. Most manufacturers of vermiculite mark their products packaging with “Non Dusty” labels. These refined granules are often slightly more expensive but they are certainly the safest. 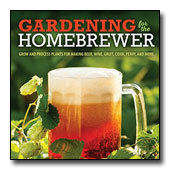 Be safe in the garden! Use perlite and other asbestos-free products.